Schwab allows you to assign a nickname to each of your Schwab accounts. 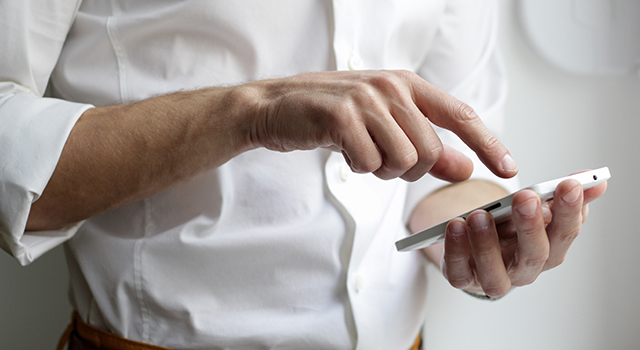 If you have several Schwab accounts, assigning nicknames to each account can help you more easily distinguish between them. Account nicknames will display along with the account numbers. 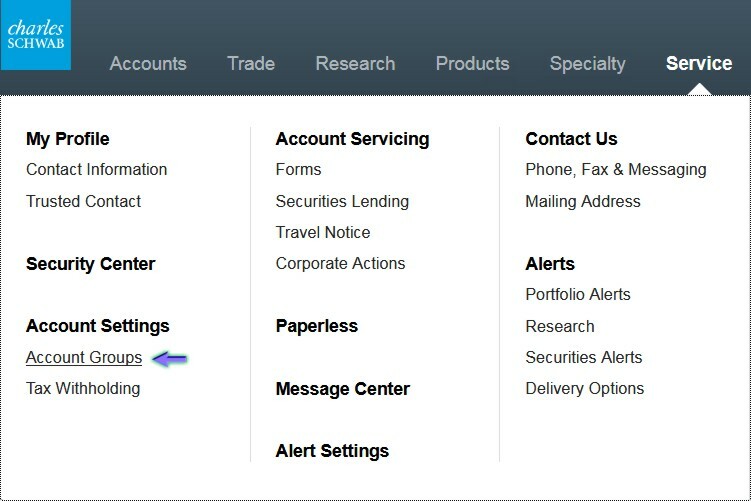 After logging in to Schwab Alliance at https://www.schwab.com, hover over the “Service” tab at the top and then click on “Account Groups” in the menu that comes up. Which “group” each account should be reported in. If you have filled out a “View Only” or “Limited Power of Attorney” form for your spouse, their accounts will show up on your login. However, by default the Schwab naming does not clarify who owns which account. For this reason, I recommend that you nickname your accounts to include who owns them such as “Her Roth” or “Jane Roth” to gain clarity. Another advantage of nicknaming can be to add in the purpose of the account into the nickname. For example, we recommend that clients who have Schwab Institutional Intelligent Portfolio accounts also create a brokerage account which is set to an all cash allocation. We call these accounts “Pass-through” accounts and recommend that you nickname them as such to help you remember why they are there. Adding nicknames such as these can help immensely when it comes time to do basic tasks such as Roth IRA funding or withdrawing funds.